BEND, OR -- Congressman Greg Walden (R-OR) is on his way back to Central Oregon for a series of town hall meetings, this weekend, as the partial federal government shutdown enters its 28th day. Walden believes people want to talk about the economy, healthcare and veterans' services, along with the shutdown. He says with the current impasse, he's looking for creative solutions, "Day to day, the American people expect those they send to Washington to get their job done, like they have to do their own job. And, that means funding the government and providing security for the country. It's unfortunate those two items have been on a collision course." Walden had voted to end the shutdown, but voted against a short-term funding bill on Tuesday that he says lacked adequate resources to secure the southern border and address illegal immigration. 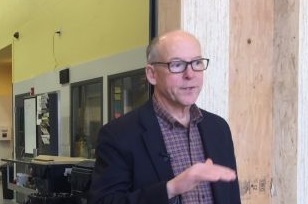 In bipartisan efforts over the years, more than 750 miles of border fencing have been built, but Walden tells KBND New it's no longer enough, "We've got to beef up border security, or else our country doesn't have security. And, we should have a thoughtful, measured way to deal with those who come here seeking asylum, and we don't have that today." The Republican says he's doing all he can to get everyone paid and back to work, but until he's successful he is asking his pay be withheld, too, "If they're not going to get paid and they're working in the BLM Office over in Prineville, or Burns, or Vale or somewhere there's a Forest Service office, or Crater Lake, we should stand in solidarity." Walden hosts several southern Oregon town halls on Friday, and will be in Bend on Saturday, for a town hall at Mountain View High School at 2:30 p.m. It's his first public event in Bend since April 2017. On Sunday, He'll be at the Jefferson County Senior center at 11 a.m. and at Crook County High at 2 p.m. Walden hosts events in Malheur and Harney counties, Monday. Plans to visit Baker, Wallowa, Union, Umatilla, Morrow, Gilliam, Hood River and Wasco counties later in the week were scrapped after changes were made to the Congressional calendar due to the shutdown.